Hello, Gorgeous! 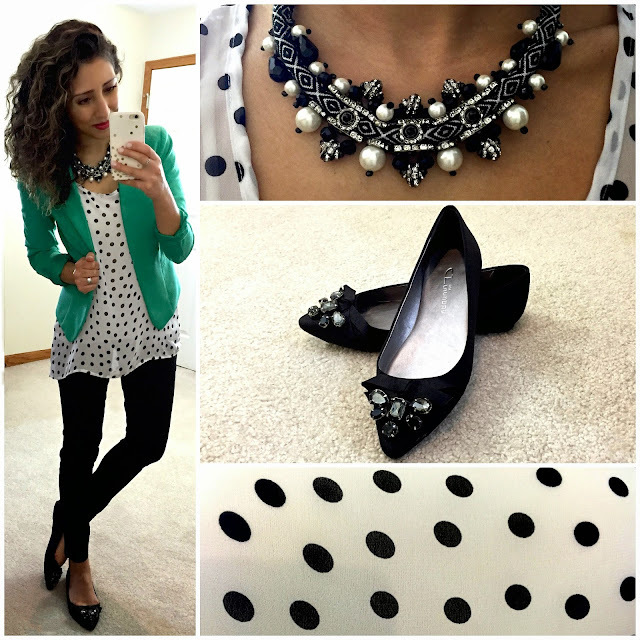 : Creating Quick Outfits that POP! 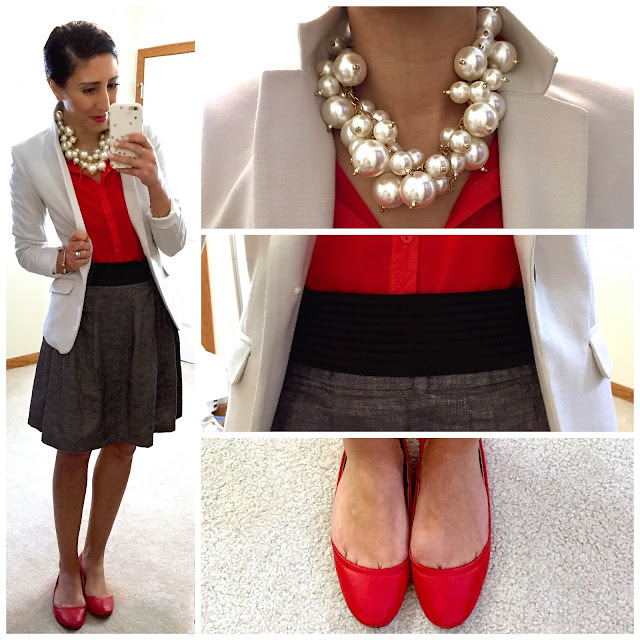 I am often asked if I create my week's outfits ahead of time or if I throw them together in the morning. The truth is, I used to put much more thought into planning my outfits than I do now. These days, I find myself wanting to spend less time thinking of what to wear in the morning. Instead, I'd rather spend my mornings playing with Lucy (our dog), or putting together a well-rounded lunch and packing my gym bag for later, or just sleeping in a bit longer. So, what's my (not so) secret formula for creating quick looks that POP? 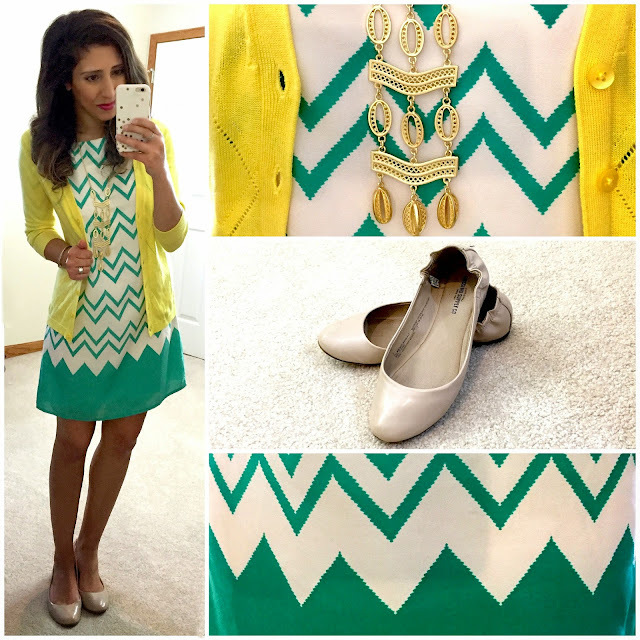 1 Pattern + 1 Bright pop of Color +1 Interesting piece of Jewelry= Perfect (quick) Outfit! Glad your blogging again. Missed your posts :) I would love to know how you store/organize all your wonderful clothes, shoes and jewelry. I agree with urban vegan ^ I would love to see how you keep all of your clothing/accessories organized. You always have the cutest pieces! Wow. It's magic. I see what you are doing in all of your outfits now and it looks great. 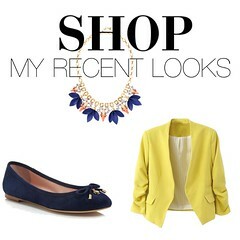 I don't shop a lot, but when I do I need to remember to only go for bright colors. I have plenty of neutrals, but I don't have enough pops. Yes! Color is the best! I used to watch What Not to Wear pretty religiously back when it was on TLC and I always remember them saying to make an outfit interesting to use "color, pattern, texture, shine". I'm definitely more of a neutral on neutral person, so I lean on the last three a bit more, but I do love a good pop of color from a cardigan or pair of shoes.